The abbey of Cerne Abbas in Dorset was founded in 987 AD, as confirmed in its charter written in the 12th or 13th century. 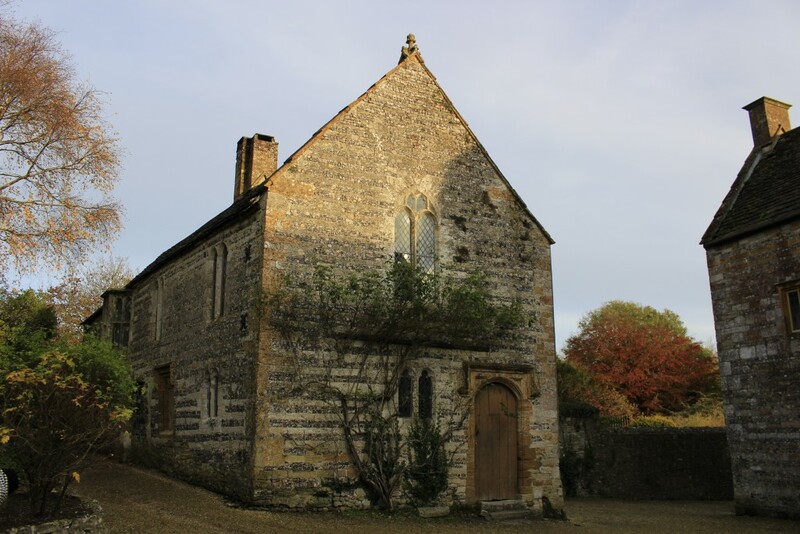 A summary of the history of this house of Benedictine monks is here at British History Online. 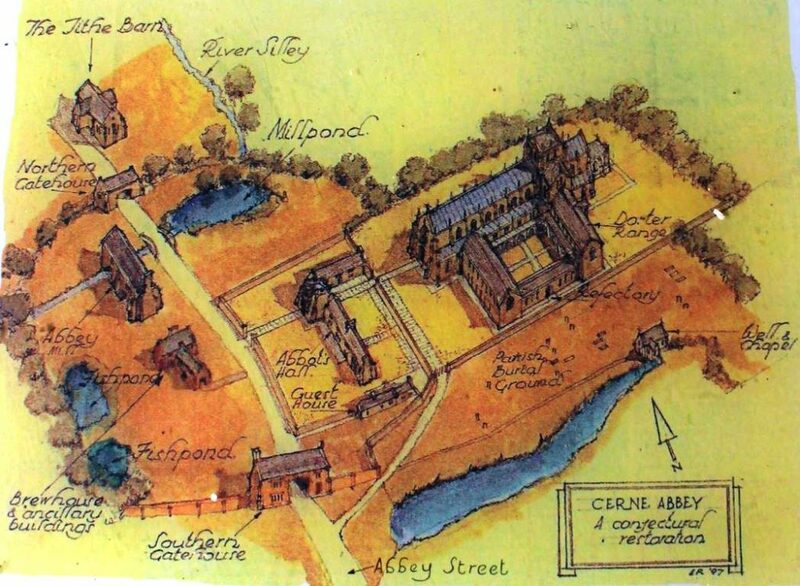 Below is an artist’s impression of how the original abbey may have looked. The North Gate entrance (no longer in existence) opened onto the main road from Sherbourne, which passes below the Giant on the farm track currently known as Eastfield Drove. It would have been used by wagons taking produce between the farm and barns. 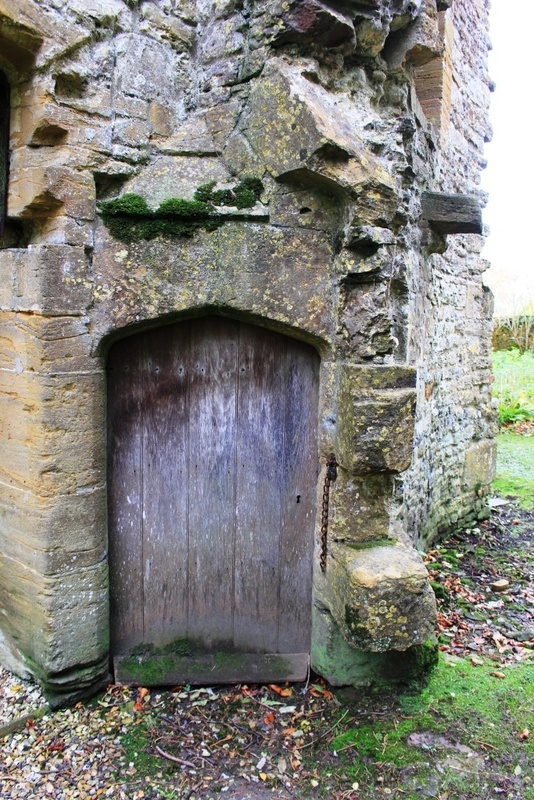 Cartloads of firewood would have regularly passed through this entrance, brought in from the abbey lands at Middlemarsh. The South Gate, with its porter’s lodge, leads directly via Abbey Street into the village of Cerne Abbas and its commercial centre, where almost all of the villagers would have worked. St. Augustine’s well (also known as the Silver well) and chapel can be seen to the lower right of this illustration. 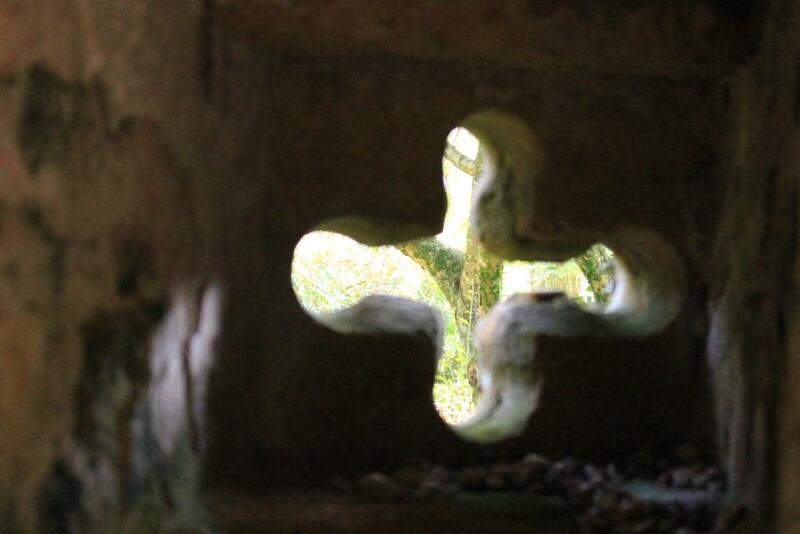 A recent article by Silent Earth on St. Augustine’s well is here. 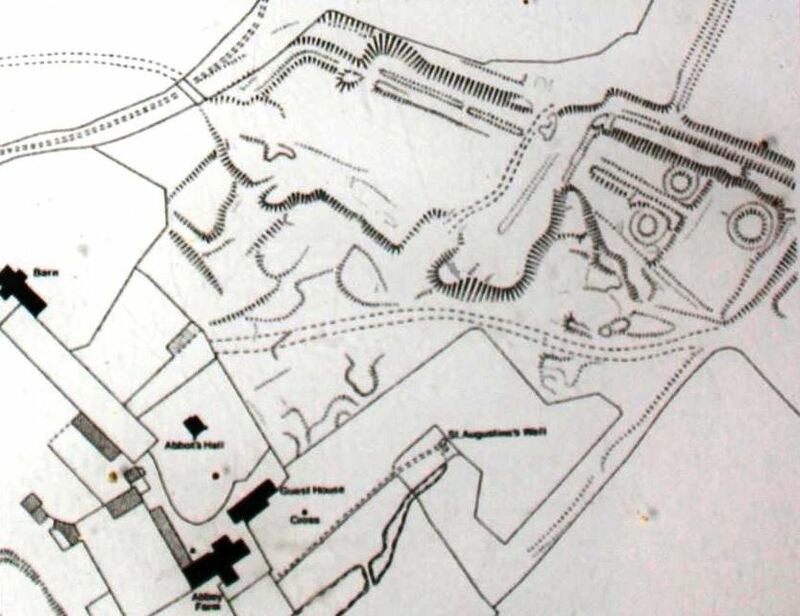 To the east of the abbey is an area of earthworks known as Beevor Field, a series of sub-rectangular enclosures with marked banks and ditches within which its southeastern section are three circular mounds. It is generally accepted that the earthworks are medieval and probably the abbey’s kitchen garden, but this is an assumption, as the site has not been excavated. The earthworks are outlined to the upper right of the illustration below. 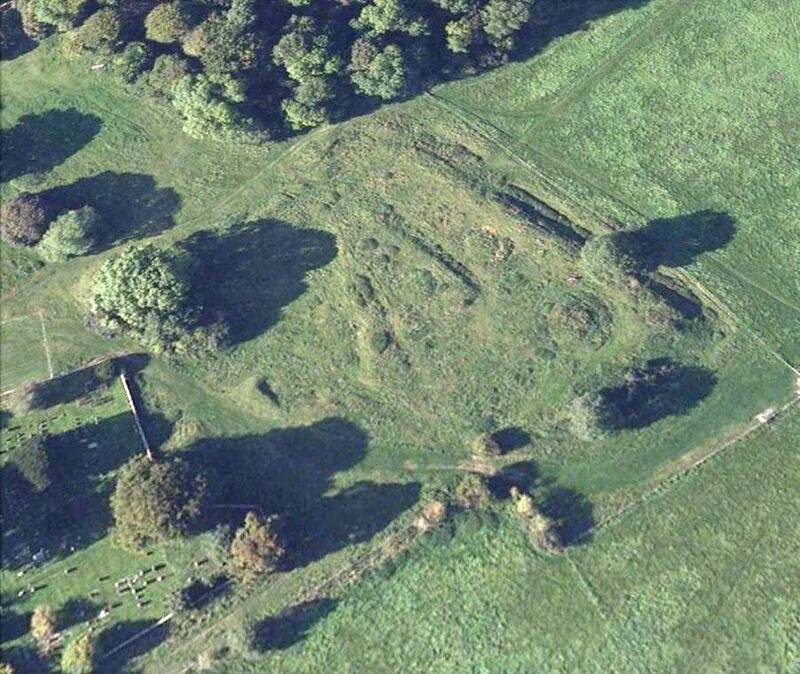 Below is an image of the southern section of the unexcavated earthworks and features of Beevor Field from Google Earth. The Cerne Abbas Giant is on the hill immediately to the north of here. Below: West of the abbey church, one of the few buildings that remains standing is the porch to the abbot’s hall. 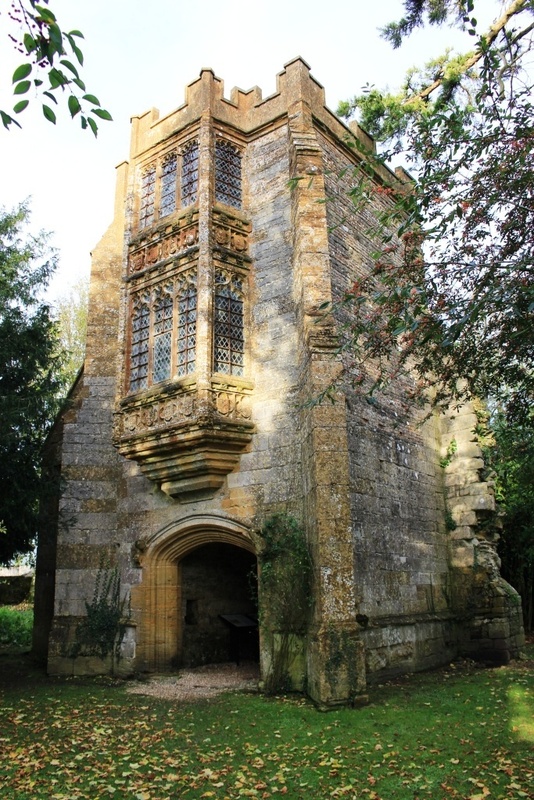 It was built by Abbot Thomas Sam, who was elected in 1497 and died in 1509. It originally represented the gateway between the outer and inner precincts of the abbey. Around its two-storey Oriel Window are panels enclosing the shields of arms and rebuses of Abbot Sam, Bishop Hugh Oldham of Exeter, and other benefactors. Just above this panel and to its left is a spy-hole used by the porter to monitor who was going in or out, since from this location close to the north gate ‘all convenient high wais’ radiated. The south gate at the end of Abbey Street was normally kept locked and portered. After the Dissolution, the porch remained standing, but fell into decline and became part of the farm buildings. It was restored by the Victorians. The roof was finally replaced in the 1990s. 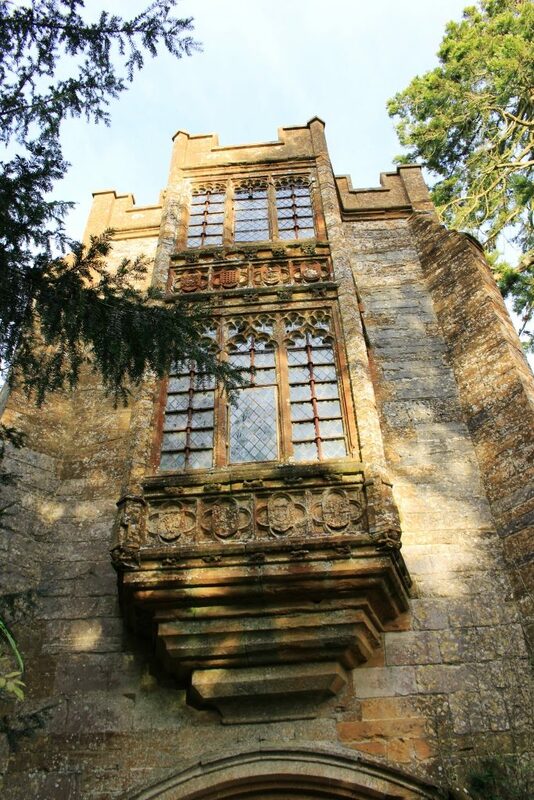 Below: The shields on the Oriel Window can be seen here. Above the entrance were the living quarters of the abbot, where he would have lived, studied and received visitors. Perhaps the Book of Cerne and many of the manuscripts that became scattered in 1539 following the Dissolution would have been in his library. Below: The fan-vaulted ceiling inside the abbot’s porch. ‘It is lovely enough to make one troubled at what England has lost: not, I would say, in any particular religious faith, but in the power to express, in stones, a wonder, a pride that is not arrogance, a love of making life lovely.’- Frederick Harvey Darton. 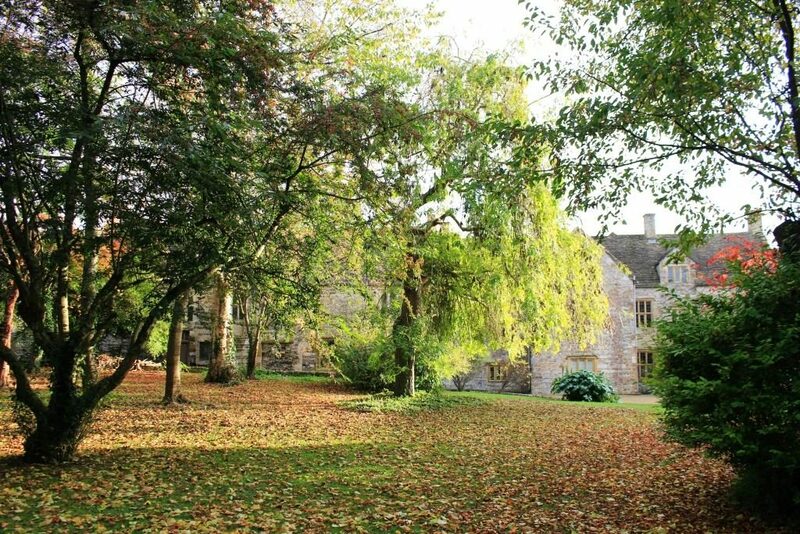 Approximately 100 yards north of the abbot’s porch is the site of a barn, well situated to serve the daily needs of the abbey, which was easily accessible via the nearby 14th century Kettle Bridge over the River Cerne. 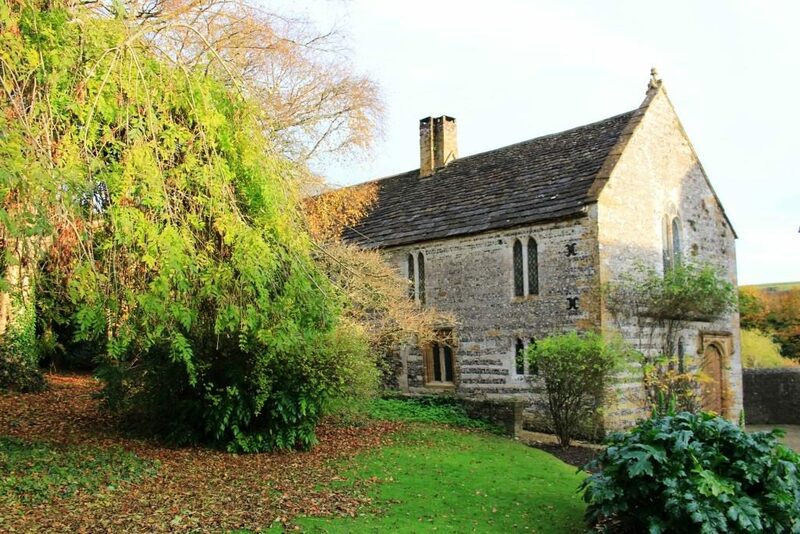 It remains extant and is probably 15th century, now converted into a private house. The main abbey tithe barn is not shown on the above conjectural restoration and is situated some distance to the southwest of the abbey. 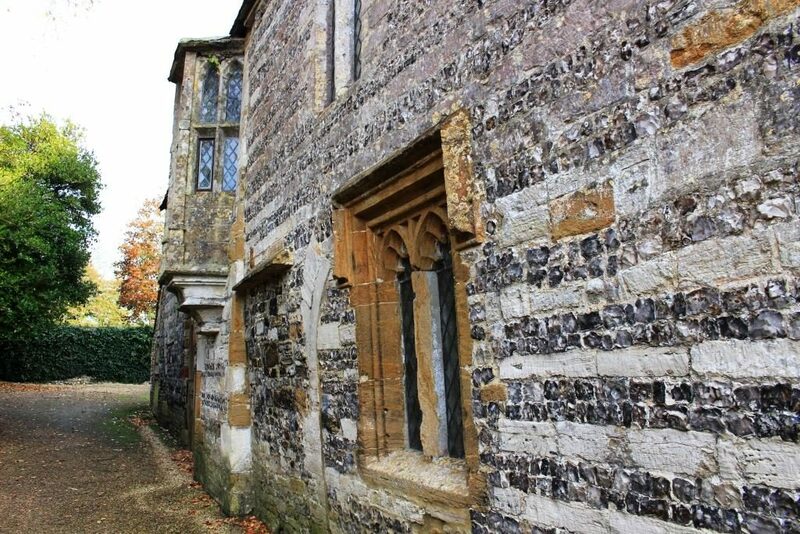 Built in the 14th century of knapped flint with ashlar buttresses, it was once a similar size to the barn at Abbotsbury. It remains extant, is now a private house, and can only be viewed from a distance. Close to this barn between the road and the river Cerne lie a number of rectangular earthwork enclosures of various sizes, which remain undated. 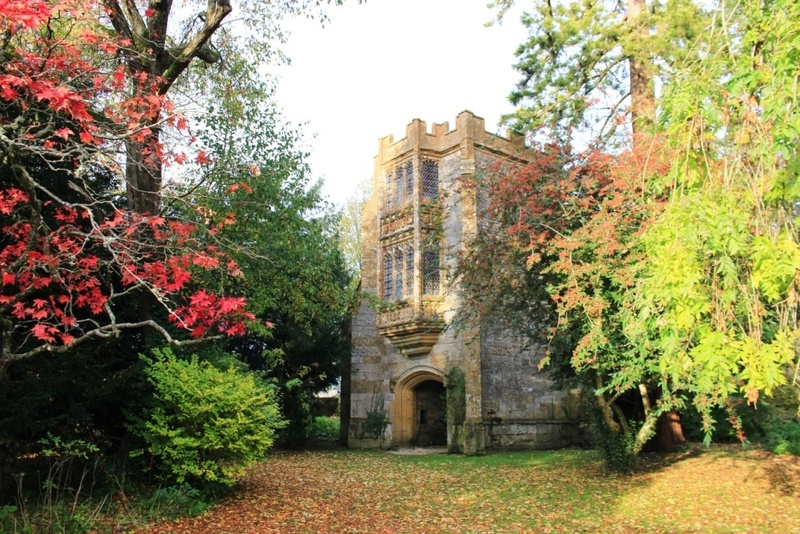 Below: The rear of the private house now at the location of the the southern gatehouse photographed from close to the abbot’s porch. This building has been in domestic use since the Dissolution. 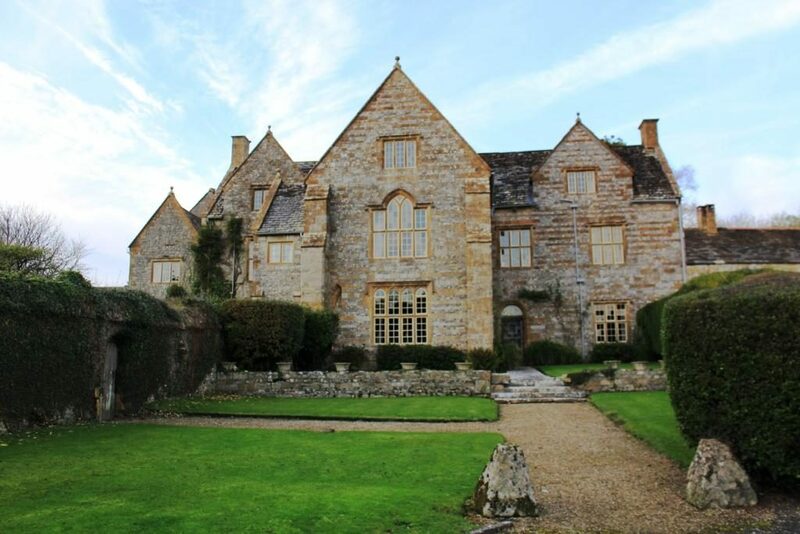 It was rebuilt and enlarged by Lord and Lady Holles after 1641, incorporating monastic walls to the northeast and south, and largely constructed from materials from the original abbey. In 1774 the Rev. John Hutchins claimed he was told that the Cerne Abbas Giant was cut by Lord Holles. Below: From the north of Abbey Street looking at the privately owned house at the location of the former southern gatehouse. Below: The northwestern section of the private house inside the former abbey grounds. 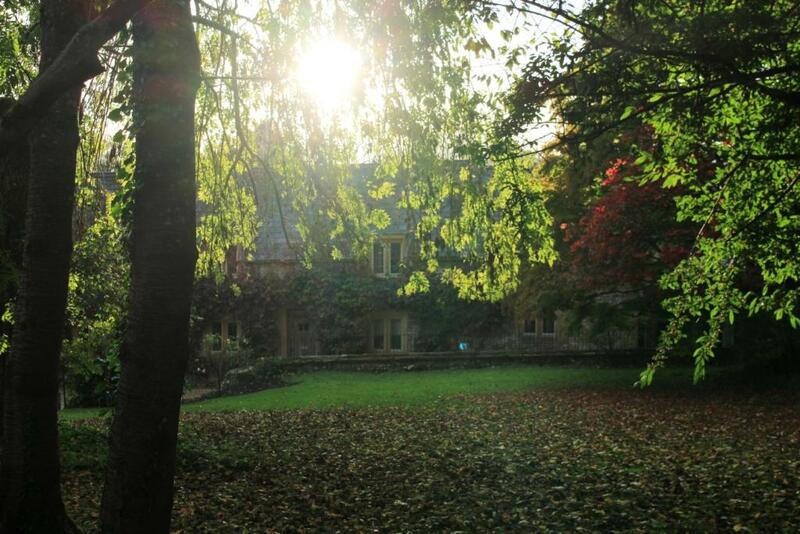 Below: The abbey guesthouse, which is the most substantial part of the abbey that survived the Dissolution. 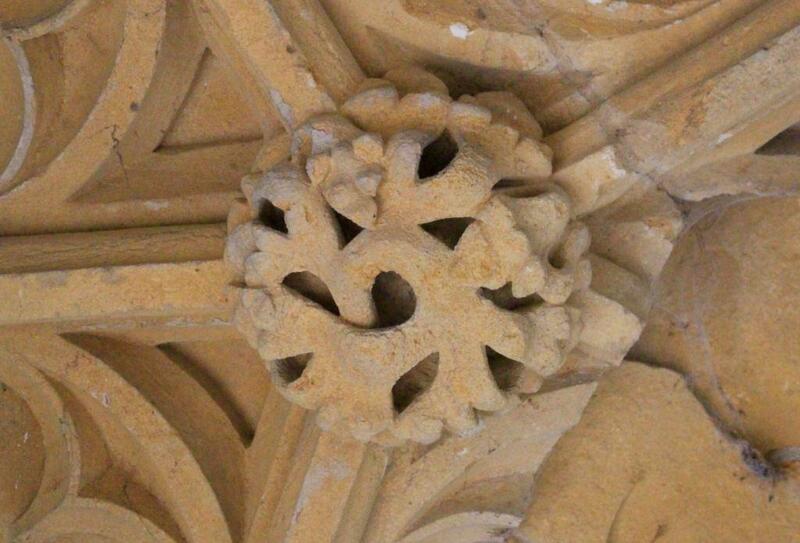 It is believed to have been commissioned by Abbot Vanne, who was elected in 1458 and died in 1471. An important aspect of monastic services was to ensure that all travellers were made welcome. It is said to have sheltered Queen Margaret of Anjou, wife of Henry VI, and her young son in 1471. Landing at Weymouth on the day Warwick had been defeated and the Lancastrian cause lost at Barnet, she and her son came over the hills at Cerne and sought sanctuary to plot and later be defeated by the Yorkists at the battle of Tewkesbury in 1471. ‘A patient man is more excellent than a strong one; he who governs his mind is better than he who governs a city.’ – Aelfric (955-1022), the first abbot of the Abbey of Cerne. 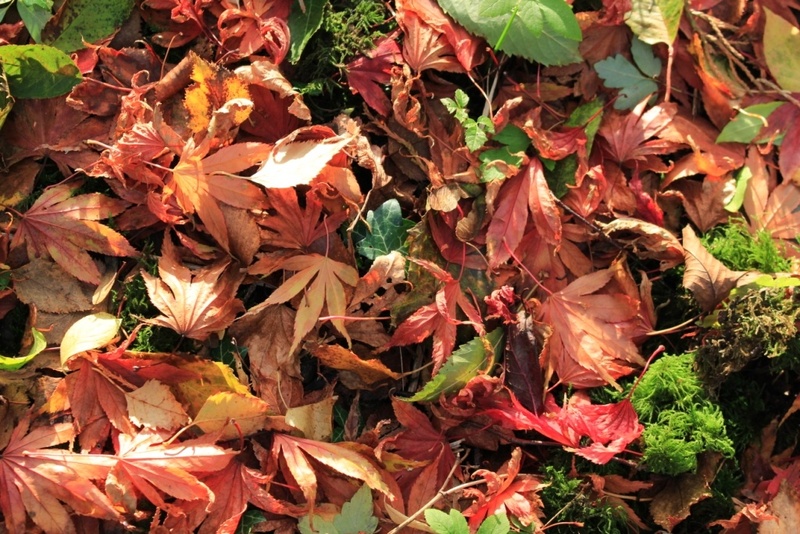 ‘There, near at hand to the holy man, there was a pleasant hill adorned with plants, with all fairness and also full smooth’ – Aelfric, Life of St. Alban, written at Cerne. Thank you to the current owner and the information boards on-site funded by a grant from the Heritage Lottery Fund and The Countryside Agency.